Guadeloupe is a French island, but its people and culture represents a harmonious blending of the East Indian, African, and European settlers. The majority of the people, about 90%, are black or mulatto, about 5% are white, while East Indians, Lebanese, and Chinese represent less than 5% of the population. For the people of Guadeloupe, the countenance of the heart is all that matters, and not the color of the skin. The estimated population as of 2007 is 456,698, a population density of 672 per sq mile. There is a growth rate of 0.8%; birth rate of 14.7/1000; infant mortality rate of 8.2/1000; and life expectancy is a high 78.2 years. Enjoy life in the islands of Guadeloupe, a tropical Caribbean paradise located at the arc of the Leeward group of islands, in the eastern part of the Caribbean Sea. It is an overseas department of France and is therefore a part of the French Republic. The island is approximately 4515 miles from Paris and about 1910 miles from New York. 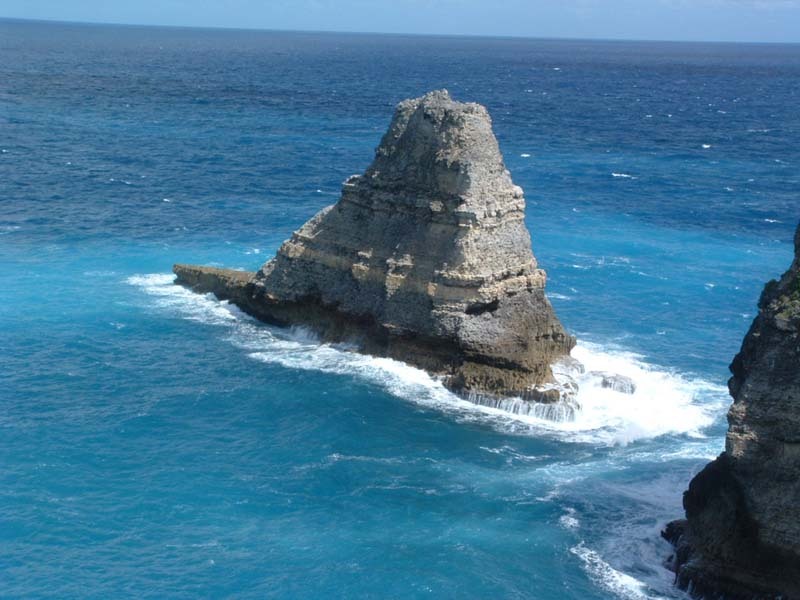 It is known as the butterfly island for the shape of its twin islands, Grande-Terre and Basse-Terre. On the eastern wing of the butterfly island lays Grande-Terre, which is famous for its white sand beaches, resorts, sugarcane fields, royal palms, and museums. On the other side of the butterfly wing is the larger island, Basse-Terre, with its impressive botanical gardens, rain forest, waterfalls, world-class diving resorts, and historical landmarks. 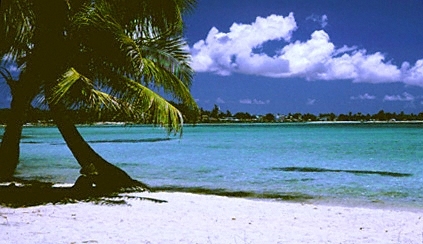 Guadeloupe's tropical wonders, coupled with the hospitality of the settlers, make it one of the top tourist destinations. The Pont de la Gabare Bridge over the Riviere Salee connects the "butterfly island", Basse-Terre and Grande-Terre. Aside from these two main islands, there are smaller islands: St. Barthelemy, St. Martin, Les Saintes, La Desirade, and Marie Galante. 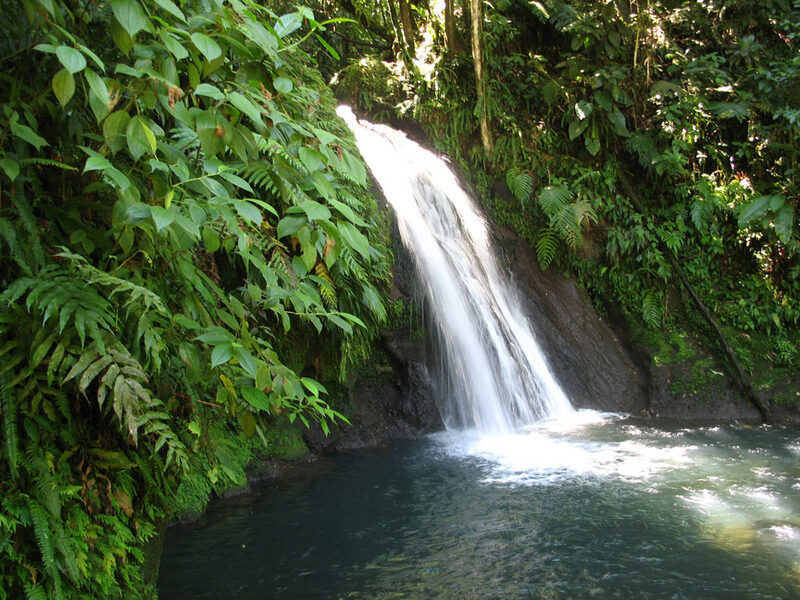 Rainforest, waterfalls, beaches, mountains, volcanic hills, plantations, and Creole gardens make Guadeloupe a natural wonderland. The average temperature is remarkably stable throughout the year. During winter the temperature remains around 74 degrees Fahrenheit and around 87 degrees Fahrenheit during summer. There are two different seasons, the wet and dry season. Dry season is from December to May, and July to November is the most humid period. The Carib Indians were the first settlers of Guadeloupe. They named the island Karukera, meaning Island of Beautiful Waters. Christopher Columbus, who landed on the island on November 4, 1493, changed the name to Guadeloupe after the famous sanctuary of Santa Maria de Guadalupe de Estremadura. The French colonized the island around 1635, and institutionalized slavery in 1644, when thousands of Africans were kidnapped and brought to the Caribbean islands to work as slaves on sugarcane plantations. These slaves cultivated gardens to feed themselves. They also planted herbs and spices for cooking. In 1848, slavery was abolished through the efforts of Victor Schoelcher, paving the way to intermarriage among the settlers, Carib Indians, Africans, and Europeans; and the merger of their cultures. The term "Creole" designates the beautiful Caribbean way of life that developed with the union of their cultures. The gardens originally cultivated by the African slaves are now appreciated as the interesting Creole gardens, and the delicious combination of recipes resulted in what is now known as the delicious Creole cuisine. Grand-Terre offers spectacular white sand beaches and scenic sights, and a visit to Bas-du Fort with its great marina for boats and yachts, and the historic Fort Fleur d'Epee, are always popular. Enjoy the beauty of the sea world with a visit to the largest aquarium in the Caribbean, the refurbished Aquarium de la Guadeloupe. Shop for souvenirs at Pointe-a-Pitre city or enjoy a leisurely stroll at the Place de la Victoria, crowned with majestic royal palms, shade trees called Sabliers, Gabon tulip trees, and royal poincianas. After Grande-Terre, cross the Pont de la Gabare bridge over the Riviere Salee and enter Basse-Terre. 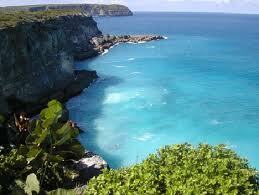 The Parc National de la Guadeloupe is your first stop. 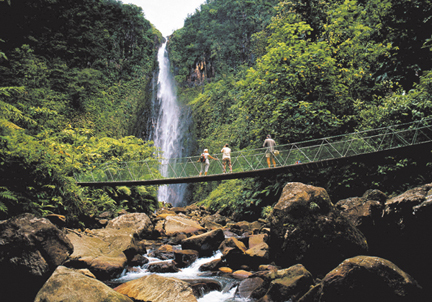 This is an ecological wonderland of luscious rainforest that covers one-fifth of Guadeloupe's total terrain. On the way to the park, enjoy the enchanting site of the Cascade Ecrevisses, a sparkling waterfall and pond and the Parc Bras David. Another tourist attraction is the interesting zoo and botanical garden of the Parc Zoologique ET Botanique. Divers and underwater enthusiasts always enjoy a stop at the Malendure Beach, for a trip by glass bottom boat to a world-class dive spot at Cousteau Reserve in offshore Pigeon Island. Nightspots are easy to find throughout the island of Guadeloupe, in the major resort towns of Gosier, Bas-du-Pont and St. Francois, Le Moule, Gourbeyre, and in the big hotels. There are nightspots galore including disco bars, piano and jazz bars, and nightclubs. In some hotels, guest can have fun dinner dancing or enjoy folkloric performance of the popular dance music of the locals, called Zouk. If you enjoy casinos, there is one in Gosier and another in St. Francois. These casinos usually open at 9:00 in the evening and don't close until 3:00 in the morning, with extension to 4:00 on Fridays, Saturdays and nights before holidays. The official language is French, though most professionals and those in the tourism industry also speak English. The lingua franca is Creole. Roman Catholic is the dominant religion, and there are also Evangelical Protestant groups and some Jehovah's Witnesses. Traditional celebrations like cockfights, cultural nights, funeral watches, Indian Feasts, festival of the cookers, and oxen races are still celebrated to preserve the Creole culture of Guadeloupe. Guadeloupe can easily stake a claim as the culinary capital of the Caribbean with more than 200 restaurants located in hotels, near beaches by the sea, and on the front porches of enterprising natives. The cuisine speaks of the many cultures that influenced the people. The finesse of French cuisine, the spice-rich recipes of Africa, the exotic East Indian foods, and the oriental Southeast Asian specialties are combined in what is now known as the delicious Creole cuisine. Fresh foods are abundant and are offered on most menus. Seafood specialties include stuffed land crabs, shellfish, smoked fish, and some curry dishes.